What are growing families looking for in a new house? That question stirs up a lot of ideas and emotions. So we ask, listen and learn. What many growing families come to realize is that they may not need more space, but a better floor plan. The “nice to look at” grand foyer, formal living and dining rooms are considered a waste of space for many of these families. They want functional space that supports who they are as a family. The kitchen in Newport Cove’s Moonriver Cottage is open to both the great room and the hearth room. Today’s growing family may not consist of only parents and young children, but grandparents, in-laws or older kids returning from college. The Pew Research Center reports that about 19 percent of families are currently living in multi-generational households. – An open, flexible floor plan that can be configured to suit your changing needs. 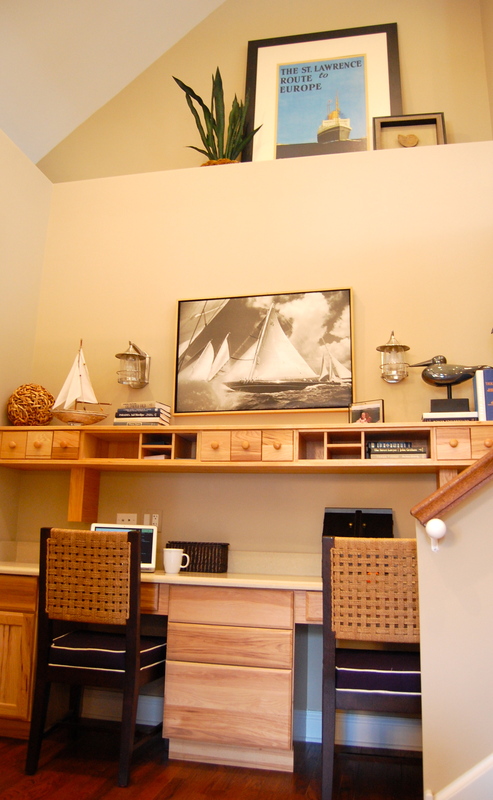 Newport Cove’s Stillwater Cottage has a “tech center” tucked into a space at the foot of the main stairway. – Easily accessible laundry room for everyone in the family. – A mudroom for shoes, jackets, boots and book bags. – An office, study, computer area for paying bills or doing homework. – At least 2.5 bathrooms, with one close to the backdoor. 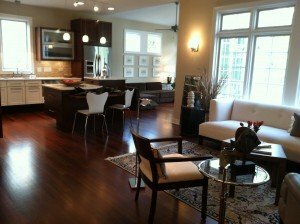 – Appropriately sized kitchen with enough cabinets and counter space. – New kitchen appliances that make cooking meals easy. – A pantry to keep canned goods, bulk groceries and paper towels. – Finished walkout basement for playroom, hangout for teens, solitude for adults. – Big closets in the entry way and bedrooms. – Extra bedroom for guests. – Energy efficient cooling & heating. – Garage that fits two cars plus storage area for bikes, lawn mower, tools. 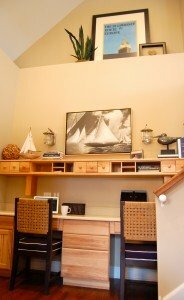 – Attic space to store seldom used, but important stuff like holiday decorations. 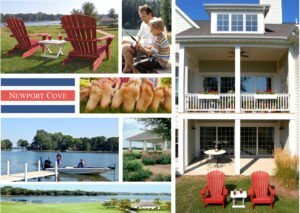 At Newport Cove, a planned community on the shores of Bluff Lake in northwest suburban Chicago, we make the wish lists of growing families happen. We are ready to build with your specific needs in mind.